In 2004 we planted a steep hillside vineyard. In the beginning, it was about growing. As it takes a few years for vines to be ready to produce fruit, we took the opportunity to learn a bit about the wine making process. Making our first Cabernet, the wine making bug bit hard. From there, the real learning began with interning in wineries in Sonoma & Napa. Long hours and hard work became the means for learning & understanding the winemaking process. 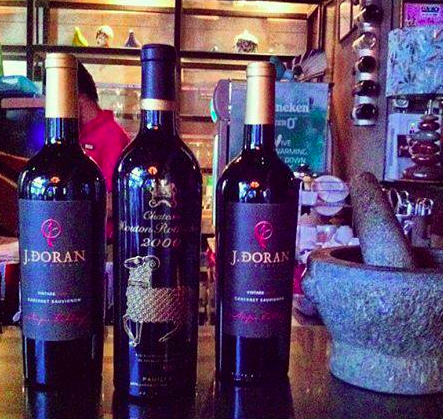 In 2008, we began with JDV wines…. Cellar Angels interviews Chris Doran, Winemaker & Proprietor of J Doran Vineyards in Napa Valley. Chris shares how he took his leap into winemaking and why he thinks "Cabernet Sauvignon is the best fruit to work with in the area." Chris Doran, Owner and Winemaker at J. Doran Vineyards, discusses the Napa Valley harvest in 2013. An army of one, Chris now has five vintages under his belt and shares how he discovered his love of winemaking.